As the demand for cremation is on the rise, Wilkinson-Beane Funeral Home decided to establish their own crematorium in Northfield, NH on April 10, 1998. It is operated by the Beane family in addition to their funeral home. Family members may choose to be present when the body is placed in the cremation chamber.These photos show the sitting area for family members with a viewing window of the cremation chamber. Cremation is the process in which the body of the deceased is reduced to bone fragments by way of intense heat. The body is placed in a special furnace called a cremation chamber for approximately 2 - 3 hours. Fragments of the remains are processed into a finer substance (which most people refer to as "ashes"). Cremated remains are then placed into an urn. Families may choose to have the remains buried, scattered, entombed or kept by the family. There are many options available when choosing cremation. If you prefer to have a funeral service, you may choose to have the body present. In which case, cremation would take place following the service. Another option is to have the body cremated first, followed by a memorial service. You may or may not want to have the cremated remains present at the time of the service. If you wish to have cremation without a ceremony, we can help you with all the arrangements. The Wilkinson-Beane Family and Staff are available for consultation to help you with any decision making and to answer any questions or concerns you may have. 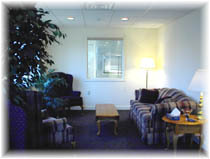 Winnipesaukee River Crematorium is located in Northfield, NH - approximately 15 minutes from the funeral home. CLICK HERE TO PRINT OUT THE CREMATION AUTHORIZATION FORM. For a FREE Cremation Brochure, fill out the following information and we will mail you one promptly.